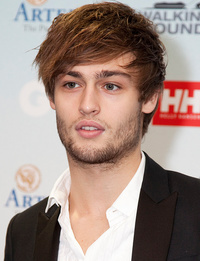 Douglas John Booth (born 9 July 1992) is an English actor. Booth rose to prominence following his portrayal of Boy George in the BBC Two television drama film Worried About the Boy (2010). Booth has more recently appeared in the drama television film Christopher and His Kind. He has been cast as Romeo in Carlo Carlei's upcoming film adaptation of Shakespeare's Romeo and Juliet. This webpage uses material from the Wikipedia article "Douglas_Booth" and is licensed under the GNU Free Documentation License. Reality TV World is not responsible for any errors or omissions the Wikipedia article may contain.